The end of the beginning of REDD+ implementation? Las reuniones de Bonn lograron avances históricos para REDD+. Foto cortesía de la UNFCCC. The annual mid-year climate talks in Bonn commenced with a fast-start as countries were eager to commence REDD+ negotiations as soon as possible and resolve the three outstanding issues – further safeguards guidance, non carbon benefits (NCBs), and alternative policy approaches including joint mitigation adaptation (JMA). The session commenced with a proposal from the African Group on NCBs putting forward a 5-stage process of validation of the implementation of NCBs and methodological guidance that will respect and promote indigenous peoples’ and local communities’ participation in the process. Bolivia had also put forward a new proposal for text on alternative policy approaches and a joint mitigation and adaptation mechanism for the integral and sustainable management of forests, which many parties felt provided additional clarity to moving this issue forward. Substantive discussions kicked off on the Day 2 with a focus on NCBs, perhaps considered as the low hanging fruit with the greatest potential for an outcome. Building on the proposal by the African Group some draft text was put forward and was well received by Parties. The text basically sought to set up a system that incentivizes countries to voluntarily build NCBs into their REDD+ project planning from its very early stages and that NCBs be linked to the provision of ex ante finance. As the negotiations continued into the following day the pressure was on to have the work completed by 9 June and all indications were that some progress was being made. Discussions in the corridors suggested that there might be scope for development of further guidance on safeguards along the lines of indicative elements including such things as governance frameworks, institutional arrangements, and grievance and redress mechanisms. New proposed text was put forward by Bolivia on Day 4 to address the non-market-based approaches and JMA mechanism. It is well recognized that this is a topic that cuts across both REDD+ and the negotiations concerning a new climate agreement. Therefore the outcome in the REDD+ negotiations over this element is likely to have a broader application to the land sector in any new climate agreement. The new text provided by Bolivia was welcomed by Parties and accepted as the basis for negotiations. The text provided a basic framework that recognized joint mitigation and adaptation approaches as non-market approaches, set out several methodological aspects such as development of national plans or strategies to support mitigation and adaptation linkages, provision of ex-ante finance, and evaluation based on national circumstances. It proposed that information concerning JMA projects or programmes would be added to the UNFCCC website and that funding for countries that want to implement such a mechanism would be available via the Green Climate Fund. Negotiations continued into the night with a mandate to work until 10pm, as parties continued to make sure that the REDD+ agenda item developed in Bali in 2007 would be completed here in Bonn. 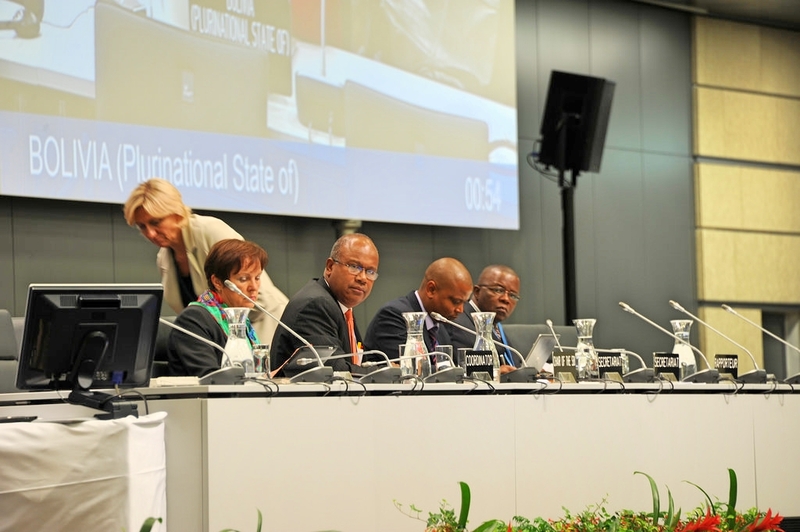 During Day 5, the negotiations turned attention to safeguards and non-carbon benefits. Indications in the corridors seemed that the African Group proposal on NCBs was unlikely to succeed. The Safeguards discussion went well into the evening working on a proposed compromise text that had been produced during the afternoon. The text looks promising and indications around the venue were that an agreement on Safeguards was a possibility. The new text proposes that the further guidance be characterized in the form of either indicative elements or indicative guidance concerning information on national circumstances, information concerning institutions, and how the safeguards were being addressed and respected. Concerns continued to be raised, however, that reference to a participatory approach remained a missing item that should be included. Some participants in the conference began to express concerns to say that it might be better to not complete discussion on this matter in Bonn and put the discussion back on the table after the COP meeting in Paris. However, Parties remained very keen to see the agenda item finished and political certainty in place in the lead up to the new agreement to be reached in Paris. Friday morning commenced with a very short open session and it was clear that there was more urgent work to be done. The Parties went back into negotiations in an effort to meet the impending deadline for completion. The pressure was on. By Friday night, negotiators were sure they are making ‘progress’. 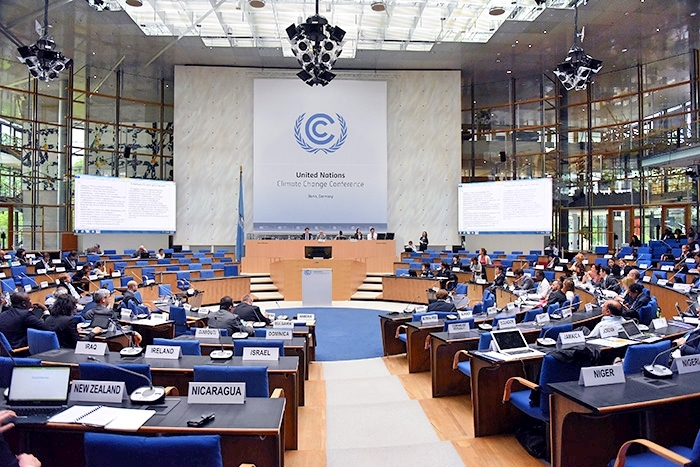 During the weekend new draft text was uploaded to the UNFCCC website and was proposed to cover each of the three items – safeguards, NCBs, and alternative policy approaches, with proposed decisions on each item to be made in Paris at COP 21. On the proposed Safeguards text, disappointment was expressed by many in the NGO community that the draft decision did not include information on ‘how’ the summary was to be prepared, nor did it include guidance on a participatory approach. However, the proposed decision did provide for some additional guidance to parties on other matters when providing their summaries of information ‘as appropriate’: to include information on national circumstances relevant to addressing and respecting the safeguards; a description of each safeguard in accordance with national circumstances; a description of existing systems and processes relevant to addressing and respecting safeguards, including traditional, legal and institutional frameworks, as well as the information systems referred to in decision 12/CP.17; and information on how each of the safeguards has been addressed and respected, in accordance with national circumstances. Interestingly, this version of the text saw direct reference to the reporting process through biennial update reports in a bracketed paragraph linked to the safeguard concerning leakage. On the issue of alternative policy approaches, and JMA progress was being made more rapidly than at previous sessions. The draft decision contained no bracketed text. The decision sought to provide ‘clarity’ on JMA. One concern that seems to be alleviated with this decision relates to the links between JMA and the REDD+ safeguards. Concerns have been raised that the proposed JMA approach would not be linked to the safeguards, however this proposed decision clarified that JMA is subject to the guidance on safeguards. It recognizes that JMA is ‘one’ alternative to results based payments and provides some guidance for parties seeking support for JMA, including development of national strategies or action plans, identification of support needs including technology. It also calls for the preparation of proposals demonstrating how JMA can contribute to the REDD+ activities and recommends that programmes take an adaptive management approach to ensure improvement as lessons are learned. Financial entities are also encouraged to support JMA. The draft decision on NCBs was the shortest of the three proposals and, as expected, identified the uniqueness of NCBs to a country’s national circumstances. The draft decision encouraged developing countries to share information on NCBs via the UNFCCC web platform and to provide information on the nature, scale, and importance of NCBs when seeking financial support to integrate NCBs into their REDD+ activities. The draft decision was careful to identify that the inclusion of NCBs in REDD+ does not place an additional burden on countries or place a requirement of any conditionality on countries seeking results based payments. Each of the proposed decisions, make it clear that the item is concluded. This is intended to create political certainty that the REDD+ Framework is now complete and is almost 100 percent certain for inclusion in the new agreement to be reached in Paris. History was made here in Bonn this week and the REDD+ negotiations finished around 10pm on Monday 8 June 2015. The text remained largely the same as the one uploaded on Sunday, with changes, including the deletion of the paragraph concerning leakage and the removal of reference to traditional, legal and institutional frameworks. The final paragraphs of each decision remained, which states that there is no need for further guidance on safeguards and each of the sub agenda items are completed. This now marks the end of the REDD+ Bali Action Plan Agenda item that was first raised at SBSTA in 2005 by Papua New Guinea (PNG) on behalf of the Coalition for Rainforest Nations, almost 10 years ago to the day and then followed up with the first REDD+ proposal by PNG and Costa Rica in July 2005 for consideration at COP 11 in Montreal. The negotiations concerning REDD+ will now move to different forums, most importantly the negotiations for a new climate agreement and the Green Climate Fund. 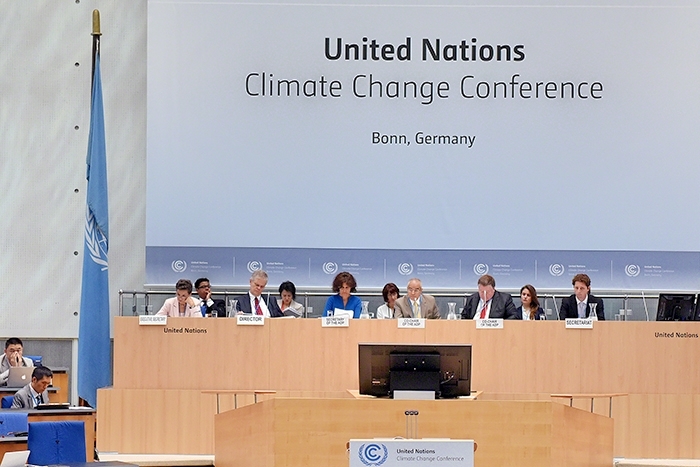 The final REDD+ session in Bonn occurred at 11a.m. on 9 June 2015. The Co Chairs put the proposed decisions to the parties confirming there were no objections. The text was agreed to go forward on the three draft decisions to be put to the COP in Paris. The Co Chairs confirmed that we now have a full methodological package on REDD+, technically, institutionally and perhaps politically to guide REDD+ implementation on the ground. They confirmed that this sends a very positive signal for REDD+ implementation and Parties can now turn their attention to the Paris agreement in order to facilitate the implementation of REDD+. Although they welcomed the three decisions and recognized that negotiators had achieved what seemed impossible in Lima, concerns were expressed by the REDD+ Safeguards Working Group, the largest civil society constituency focused on UNFCCC REDD+, that the safeguards guidance was minimal. Quoting from paragraph 5 of the text, the RSWG “strongly encouraged” Parties to put flesh on the bones and ensure the information in their summaries really is comprehensive and consistent, ensuring transparency and effectiveness, with a clear path to improvement in a stepwise approach. The group expressed disappointment that full and effective participation was not included in the text and pointed out gaps in the only summary of information that has been presented to date, stressing that it should not set a precedent. The session was completed with the Co Chairs making the point that this is not the end, but this is the beginning of REDD+ implementation. The Second Voluntary Meeting on the coordination of support for the implementation of REDD+ activities was held on 8 June. Many parties felt that their questions put to the Board members of the Green Climate Fund (GCF) were not answered adequately and there was no clarity on how a country can access finance for REDD+ results through the GCF. Confusion remains on the role of Accredited Entities and whether there may be some responsibility on these Entities to make decisions on such matters as to whether safeguards have adequately been addressed and respected. This meeting made it crystal clear that there is further work to be done related to finance and access to REDD+ results based payments and much of the text related to REDD+ in the Geneva Negotiating Text relates to finance. It would be fair to say that finance for REDD+ is the next frontier.